Visually, this video is dope. I’ve got to give a honorable mention to the East Side with all the colorful graphics on the walls that every Eastsider can recognize. Plus, the added animations of the Superman symbol on the chest and the Goku reference was a nice creative touch. Trelldagreat has been featured on Breaking and Entering, and has performed on the same card as Milwaukee’s very own, Lil Chicken. In the future, he plans on working with more artists around the city to create safe event atmosphere for more artists to express themselves. Ultimately bringing the gap of segregation Milwaukee is so know for. Want Ad space in Issue 14? Tired of hearing the same ol’ artists and looking for someone new to vibe to? Well, look no further! Musical creative Lando Chill, is an experimental rapper and social activist who is heading straight for Milwaukee. Lando’s tour will be making a stop at The Back Room at Colectivo Coffee on Wednesday, May 1. “Lando's sound is a thoughtful, emotional exploration of the black experience, that is equal parts west coast funk and desert trip-hop. His third studio album, Black Ego, received widespread critical praise and was called a "'hello' to the present-day of our country" by NestHQ”. Lando Chill’s vision is bold and fresh. His artistry explores “the nuances of the black experience, and touching on themes of cultural appropriation, privilege, and intersectionality, his recent release draws from a vast expanse of influences”. He will be making stops in the biggest cities all over the U.S. and our city is the first stop on his map. Come and check him out! You know we’ll be there! First of all, let me just say yasssssss to the creativity of this project! I love the concept behind it and it’s originality. Nowadays artists kinda talk about the same things, which isn’t necessarily a bad thing, it’s just extremely refreshing to see new quality content. The illustrations were dope and I love how in the beginning Harriet puts on some airpods (#flex lol) and has a playlist of conscious artists to choose from like Childish Gambino, Kendrick Lamar and Meek Mill. The “woke juice” she shoots at the lost ones to come with her was a cool addition, and I can definitely picture her having this song playing to amp her up and get her adrenaline pumping because listen... I was in fact HYPE lol. Hopefully this video inspires others to challenge their own concepts/ideas and think outside the box. Shoutout to Young Deuces for sending this over to us...keep your creativity flowing! “TG, an up and coming lyricist from Madison Wisconsin, has been grinding over the last couple years. He started that grind by doing a EP with CyphaDen Music artist Rambunxious who also hails from Madison by way of Phoenix Arizona. Then TG reached out and worked with Strange Music's own MayDay and now he got The word chopper from Omaha King Iso. “King Iso starts the song off with a strong but fast Tech 9ish type of flow & style. His lyrics are very clear where you are able to hear the bars and lyrics that do punch. Rambunxious fills in the hook space with a melodic melody carrying the Cold.... over into his verse where he uses his canvas to show you his mix of style , lyrics and personality. TG’s new single “Out in the Cold”, has some of the fastest bars that I’ve heard since Twista! Each artist get their chance to shine in this track, and they all make sure to use it to their advantage. Keep your eyes out for these three. Now y’all know at CopyWrite we don’t discriminate not nann genre of music because we get it, everyone’s preference isn’t the same. Since we’ve been on a big rap kick lately, and we can’t become too predictable ;), we thought it would be dope to switch it up a bit and highlight an alternative old school band! The Splitz is a Milwaukee based group that formed in 1986 until 1992, but was recently revamped by two members of the original group, Jaco and Berendt. “Jaco and Berendt combined their talents on this new recording titled “Mortality Curve”, which finds the duo in solid form. The effort is focused on modern social divide, the maladies/pitfalls of humanity, and government corruption.Marrying the sub-genres of Power Pop/Prog Rock with synth elements hearkening back to the Post Punk New Wave era, The Splitz create their own Alternative niche. If alternative is your thing, or you’re just into trying new music, this one's for you! Let us know what other genres you think we should feature on the blog. This is how PLS&TY explains his new release “Motives”, featuring Dutch producer GANZ (multiple releases on Dim Mak, and, just recently, on Nettwerk) and LA-based singer/songwriter Nevve (releases on Hexagon, Circus, Warner, Monstercat): “‘Motives’' is about one partner wanting so desperately to feel love, no matter how hard the fall or heartbreak, in spite of the other partner's lack of commitment. One person ultimately ends up the 'friend,' and the other the 'fool,' for developing true feelings amongst the partner's indifference. Yet, as genuine 'motives' always surface, I believe it is better to have loved and lost than to have never loved at all." Wow! Now who hasn’t been there? Even if you haven’t, this type of love is something that you’ve either dealt with personally, helped a loved one through, read in a book or watched in a movie. Simple as that! This electric pop song speaks to the lonely and broken hearted. Nevve sings, “I can see the hearts of the lonely. Come with me, I could use the company.” Well here I come girl! Like I said, we’ve all been there (or just me), but if you haven't, this song definitely takes you there. The chill but electronic beat is paired with soft exotic vocals, creating the perfect balance of an upbeat but sensual vibe, depicting the ups and downs of this rollercoaster called love. 90’s style hip hop cyphers seemed have been under wraps in this new day and age, as if it went into extinct under the new age hip hop and rap culture. Old school hip hop seemed to express a certain rawness and purity through the lyrics, rhymes and aggression from the rappers. This style of rap is not for the lighthearted nor amateur, which are two things that Taiyamo Denku and Genesis Renji are NOT. Taiyamo Denku’s track “Filthy”, featuring Genesis Renji, is a new bop that takes us back to this time. This track puts a spin on a “new age style production” with an old school rap beat and lyrical flow, unleashing the perfect mixture of pure passion, skill and authenticity that is rare for our time. "CyphaDen Music Drops a new Gem this time bringing fellow Milwaukee artist Genesis Renji of House of Renji with him. Denku the Milwaukee Native emcee starts out with a heavy hard verse full of bars , lyrics and punchlines. Denku then boasts on the hook " Im Better than You" . Genesis then stylizes on the track with a good flow and delivery. Dcypha spins a new age style of production with his signature boom bap steez to make for a great one off single from Cypha den Music"
Taiyamo Denku spits his verses with a rough flow that delivers his lyrics with force. Similarly, Genesis Renji adds his own creative spin to the mix with his smooth flow and lyrical puns. This track definitely goes hard and it proves that pure hip hop still exists. Jay Holt The Chemist has the formula when is comes to rapping and he definitely has the rap game cooking up. With his lab coat and hot beat, it is hard to not be intrigued. His video “The Formula” takes place in a vacant lot with abandoned trucks and buses, the perfect scene to stir things up without anyone seeing a thing. Videographer Gregory Conley displays his creativity with his smooth transitions and special effects that only seems to enhance each beat and verse. Jay Holt The Chemist and G.Conley are like the chemical mixtures of vinegar and baking soda: the only two chemicals that could ignite my grade school volcano during science class. Okay, I’m clearly no chemist, but I know when I looking an explosive mix, and these two have it. Watch out! Too much fire and someone can get burned. 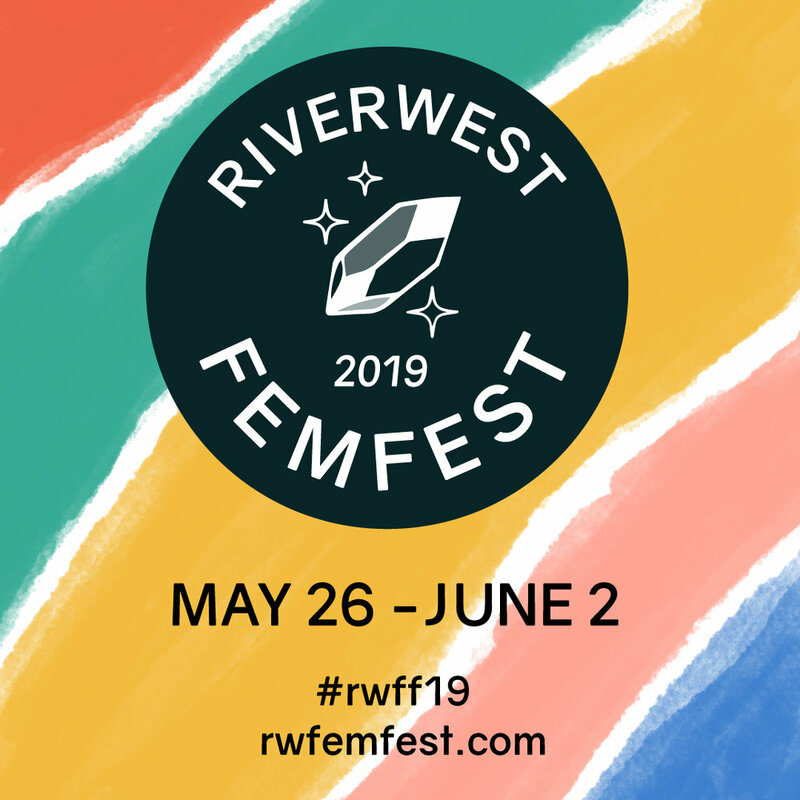 We are excited to be a Media sponsor for Riverwest FemFest and hope to see you there! Check out rwfemfest.com for more details.